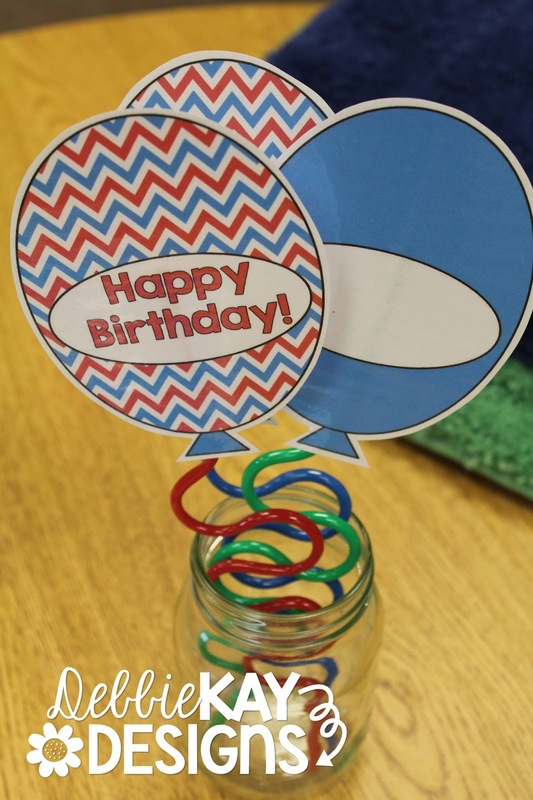 How do you celebrate birthdays in the classroom? 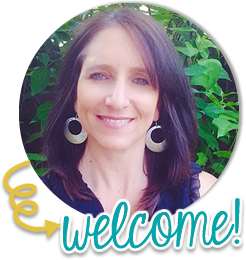 And, what do you do about summer birthdays? I have handled summer birthdays a couple of different ways. I used to celebrate July birthdays during the first week of school and June birthdays during the last week of school. Now, I celebrate those summer birthdays when it's those students' 1/2 birthdays. I like this better because it keeps them from feeling left out of the fun. When my birthday boy/girl arrives in the morning, I have a goodie bag waiting for them. 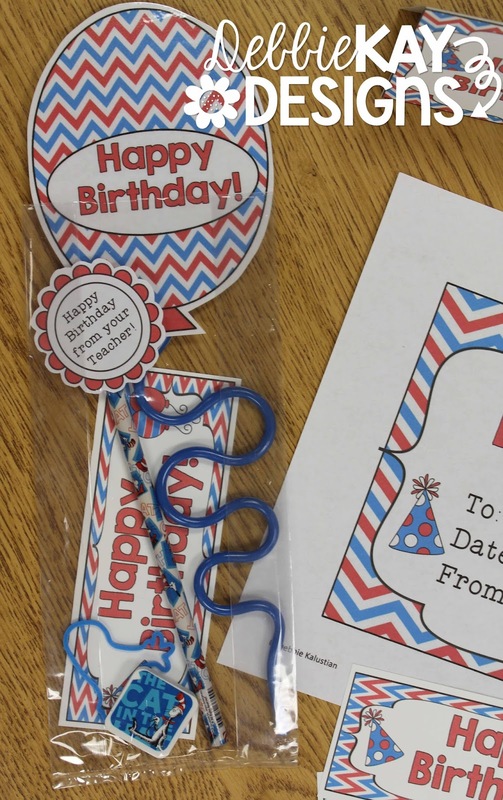 I include a Krazy straw, bookmark, a card from me, and other small trinkets such as an eraser, silly band, pencil with topper, etc. 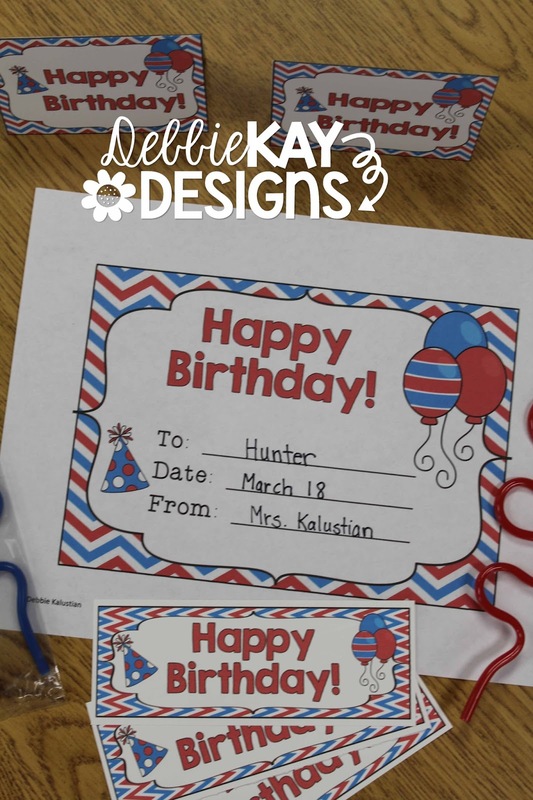 I also give them a birthday certificate. All of the printables you see here are now available in my TPT shop. 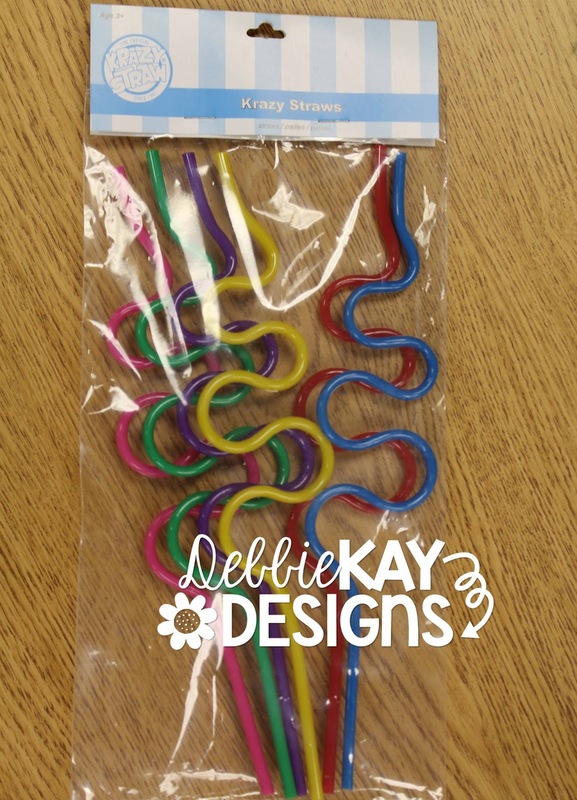 I purchase the Krazy straws at my local Dollar Tree. They come in a package of 6. You can either put them in the goodie bags ahead of time or, what I do is, display them in a jar. I let the birthday boy/girl pick one out after we sing happy birthday to them. 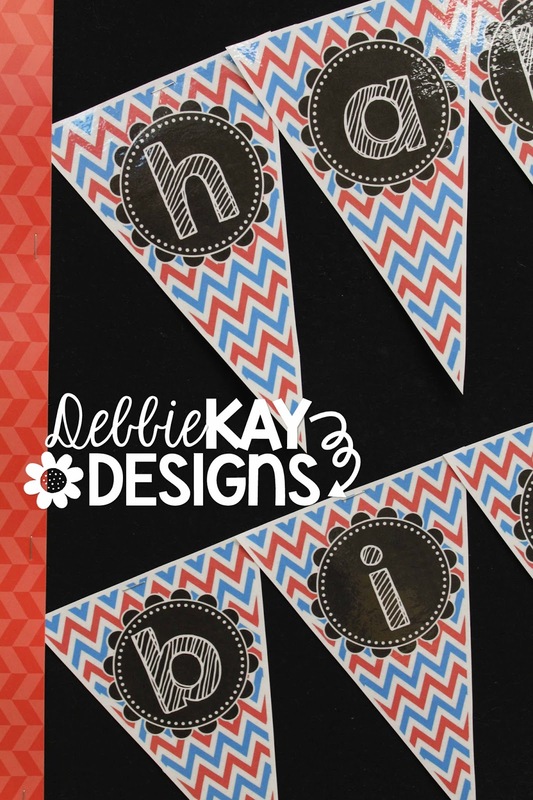 I'm working on adding a selection of color schemes; however this first one I've uploaded is super fun because the blue and red color scheme lends itself to matching with all kinds of Cat in the Hat goodies you can find at the store or in catalogs. Do you have a bulletin board dedicated to birthdays? 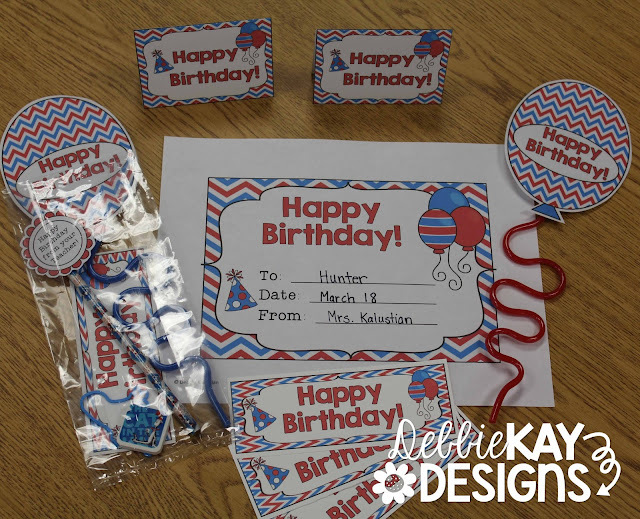 I've also included in this Birthday Set, printables you can use to create a fun display. 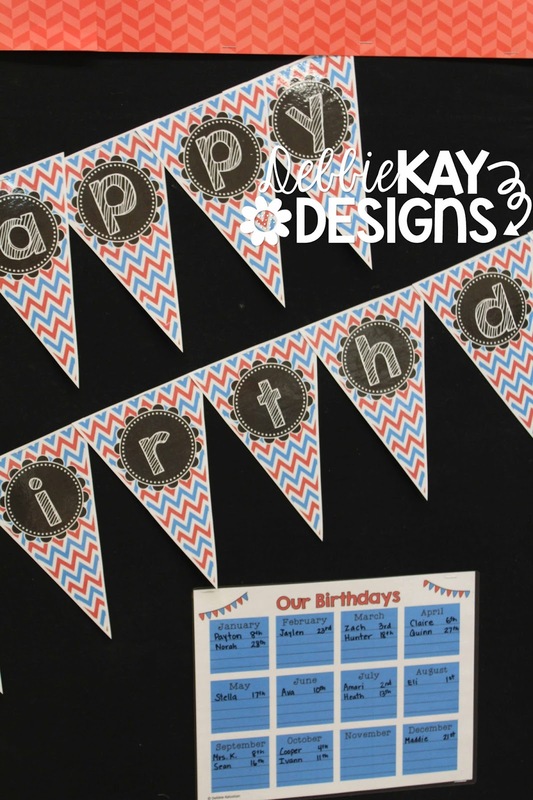 Print the pennant banner and string with ribbon, yarn, string, etc. or simply staple it up as I have done here. 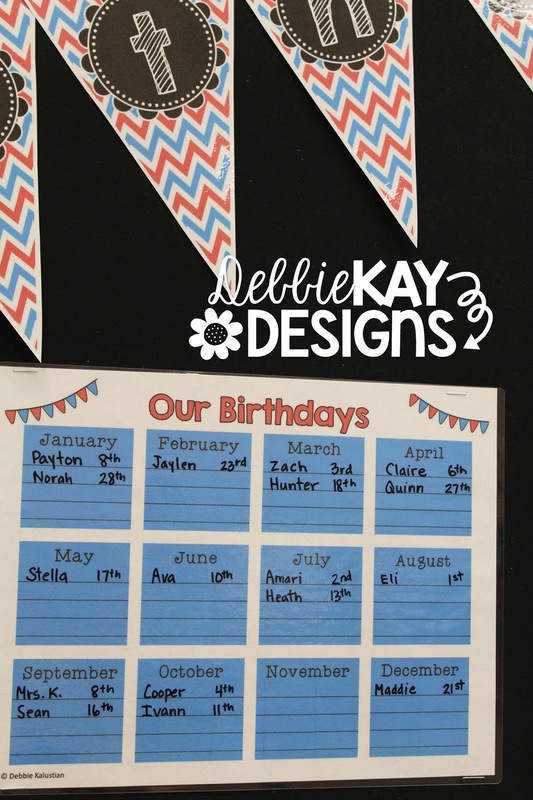 I included birthday balloon décor with the names of the months. 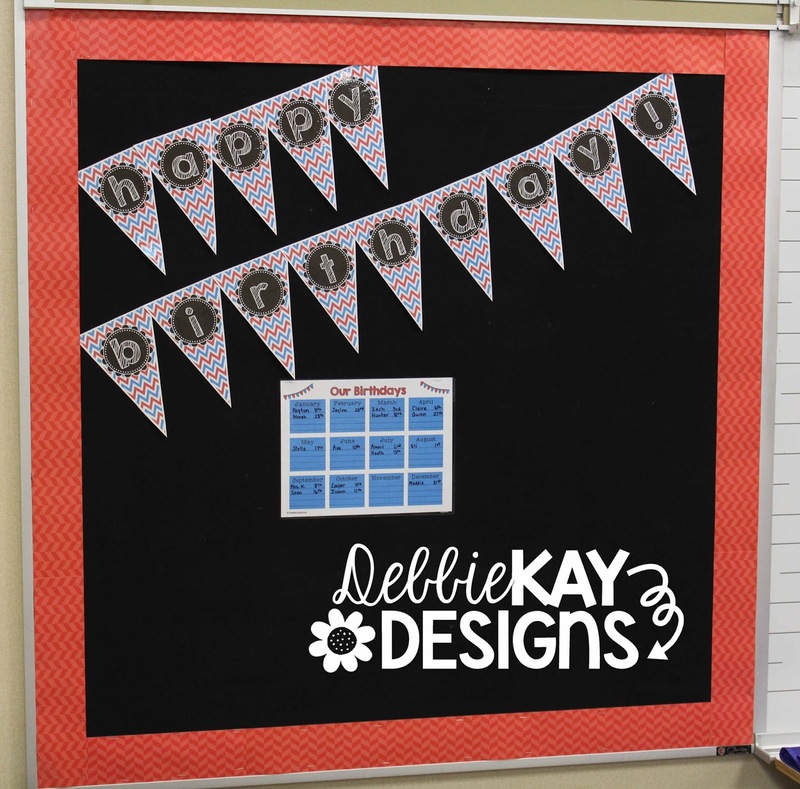 You can use the blank balloons included to write out student names and display under each month. 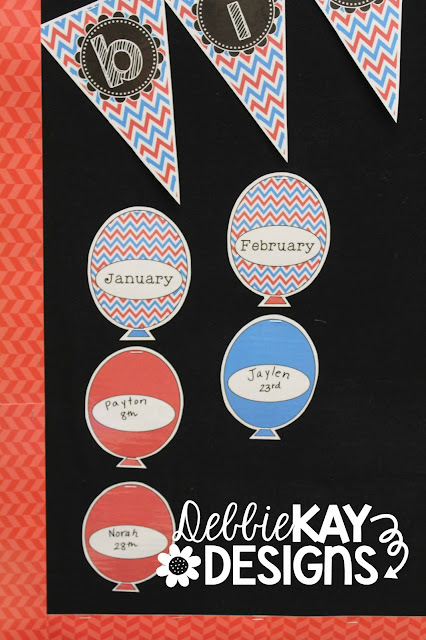 Alternatively, if you are short on space like I am, you can display this little "Our Birthdays" poster. I print and laminate, then write all my students names on it with the day of their birthday beside their name. 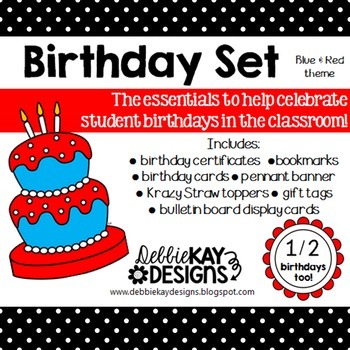 To check out the set, visit my TPT shop here. More color choices coming soon!